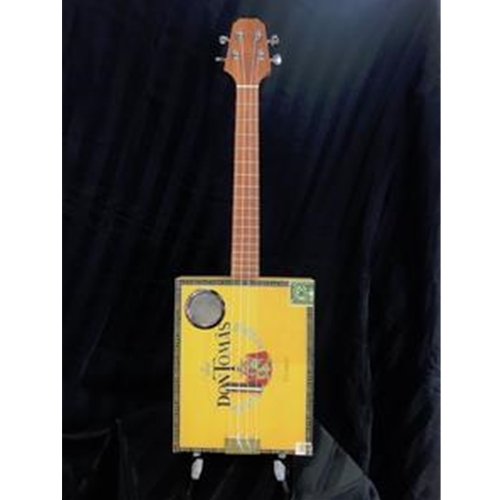 These are handmade-from-scratch electric tenor ukuleles with printed cigar box labels. I build two piece full length necks from mahogany, padauk and black walnut with a center veneer strip. The boxes are acoustic grade birch plywood glued with gorilla glue. The pick-up is a 4 unit piezo mounted in an ebony saddle under the bone bridge. I have added ebony fretboard models in the various neck woods.